If you’d like to help your child and develop your own skills in learning Gaeilge, here are some useful phrases and websites to encourage using ‘cúpla focail’ at home! 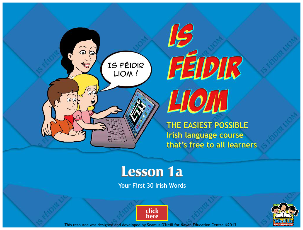 This is a free online course designed by a primary school teacher for parents or anyone who would like to help children learn Irish. The course is self paced and you can click in and out of the 10 lessons in your own time. Éasca Peasca is a good site where you can learn Irish at your own pace while learning it with your children. This is a collection of podcasts which you can download and listen to on your computer, tablet or smartphone. All lessons are self paced and designed to fit around your schedule. 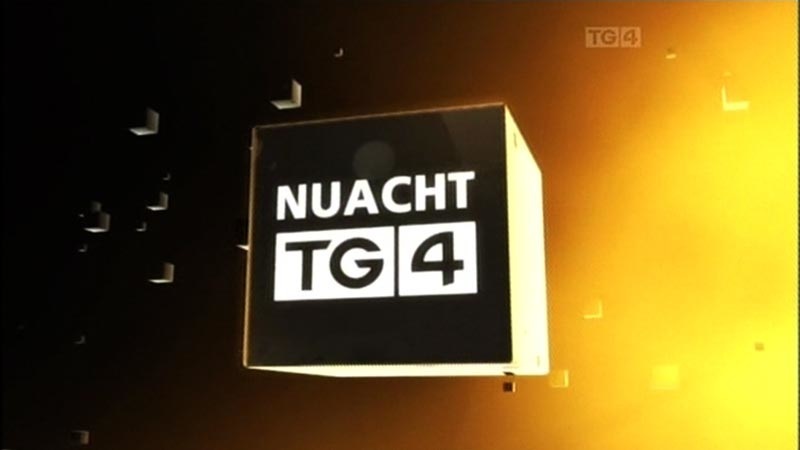 Website with many Gaeilge resources and information about Seachtain na Gaeilge 2016. Online dictionary that translates from Irish to English and English to Irish. ​This site has some ebooks which you can listen to and/or read with your child. They range from picture books to stories to poems. 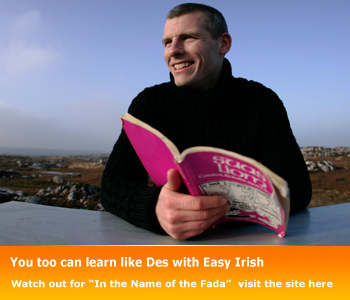 An easy Irish course with Des Bishop. ​Online games for learning the Irish language.